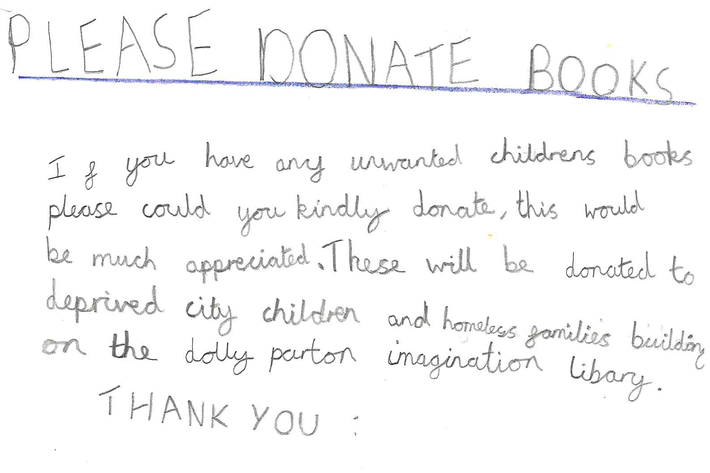 One of our Year 4 pupils is collecting any unwanted children's books. He will use the books to help children in the local area. 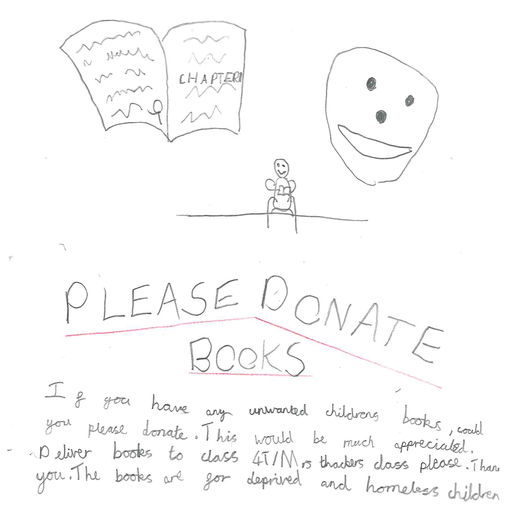 If you have any books that are no longer needed, please send them into school with your child. We will be collecting them in 4T. Thanks for all of your support.